How do I keep the Motorola moto Z3 from waking up when I pick it up? My Moto g5 had a setting that only woke up when I pressed a button, but not when I picked up the phone. Welcome to the forums. Have you tried disabling Moto Display in the Moto app? 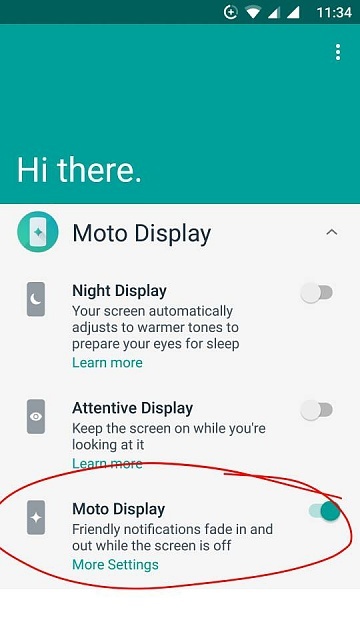 I don't see a "disable Moto Display" in the Moto app. Glad it helped! See you around the forums. LG Stylo mic is closed while setting up voice match. Gear Wearable app crashes when you go to Settings > Display. Anyone else? ?